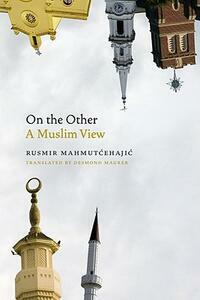 An exceptionally timely book by a leading European exponent of Muslim intellectual tradition, On the Other: A Muslim View is a concise and accessible exploration of the foundations of Islamic thought on human nature, our place in the cosmos, and our proper relationship to the divine, based on peace, knowledge, love, beauty, humility, and respect for and acceptance of others and difference. Applying sound linguistic and historical scholarship and a profound knowledge of the Qur'anic sources, the author analyzes the key Arabic terms to show that Islam is a religion of peace, rather than of irrational submission to some higher instance. Having demonstrated how poor cultural translation of core terms has contributed to a distorted picture of Islam in the West and among some Muslims, the author provides systematic explication of the most important concepts and beliefs of the Muslim tradition, as well as interpretation of the symbolism underlying its most important practices as one of the paths through which God calls us to Himself. In doing so, he tackles directly the claim that the Holy Qur'an enjoins hatred, violence, bigotry, and racism, particularly against the Jews. By clear exposition and contextualization of some of the most controversial and most frequently cited verses, he demonstrates how they have been misunderstood and misapplied, misrepresenting a message of profound respect for the multiple paths to God and the multitude of his prophets and for the variety and radical difference that is constitutive of humanity. The author shows that in reality these misunderstood verses represent a plea for the recognition of and respect for difference, one that is timelier now more than ever. On the Other: A Muslim View provides an excellent introduction to the Muslim intellectual tradition for those who wish to penetrate beyond the stereotypes put forward by ideologists on both sides of the East-West divide, an introduction that reveals the rational, tolerant, and fundamentally peaceful faith of the vast majority of practicing Muslims.